As the Atlas logo implies, our lantern roofs are provided by Atlas, which lets you know that these roof lanterns are of the highest quality. 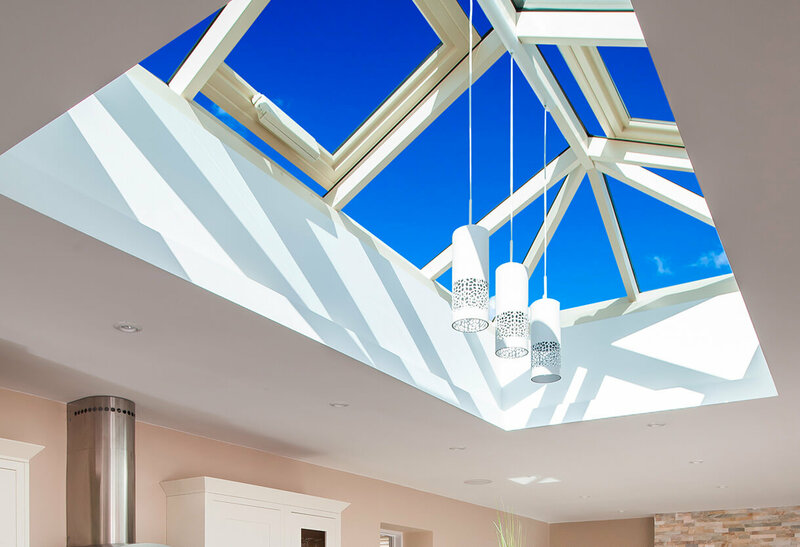 Letting homeowners indulge in plenty of natural light as well as great thermal performance whenever they step into their conservatory, roof lanterns offer supreme aerial views and illuminate the space to make it feel bigger. Their design is notably minimal, resulting in a lightweight solution that provides less roof and more sky. 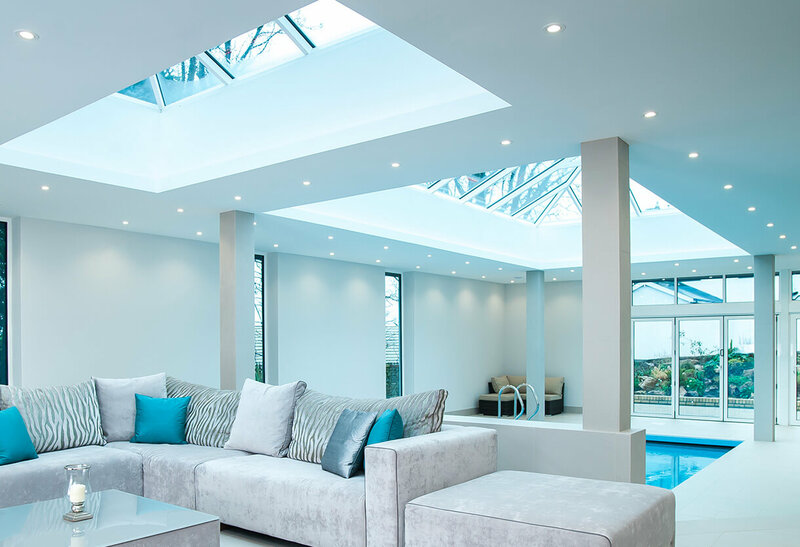 Expertly fitted into an existing flat roof, new conservatory or existing, roof lanterns always create an eye-catching centrepiece for your home. If you're curious about roof lanterns, why not read our blog piece entitled 'how do roof lanterns work?' to find out everything you need to regarding this brilliant addition to your home extension. Our roof lanterns might utilise a minimal design made possible with slimline technology, but this doesn’t mean that they ever open your conservatory to risk of draughts and cold spots. Comprised of energy efficient glazing and rafters, each lantern delivers impressively low U-values of just 1.5 W/m²K – that’s twice as efficient as the nearest competitor. The space will remain comfortable all year round and the risk of condensation is reduced. Roof lanterns from Double Glazing Essex Ltd are a thinner, stronger, and lighter design than most, maximising the amount of light capable of entering. This will give your conservatory a more natural feel that’s in-keeping with how much closer you are to your garden, also leading you to rely less on artificial lighting. With roof lanterns, less is definitely more! 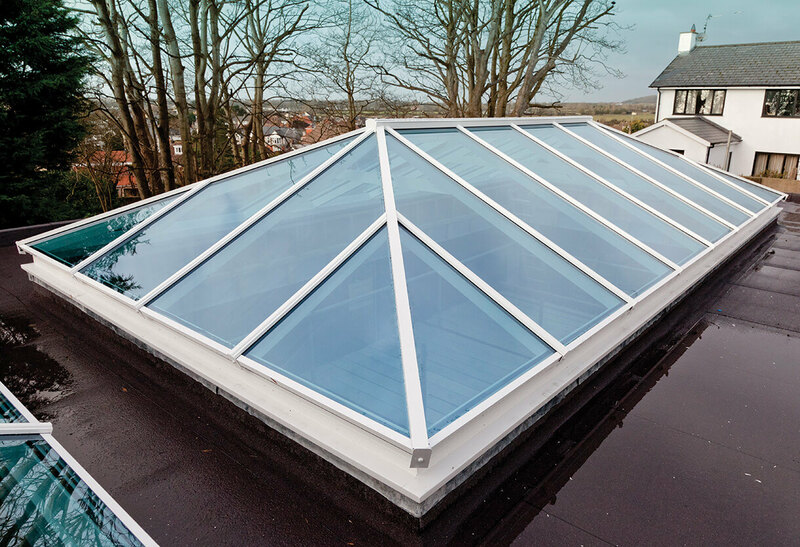 If you’re worried about trying to fill an unusually sized aperture, each of our roof lanterns come tailor-made to specifically fit your extended living space. 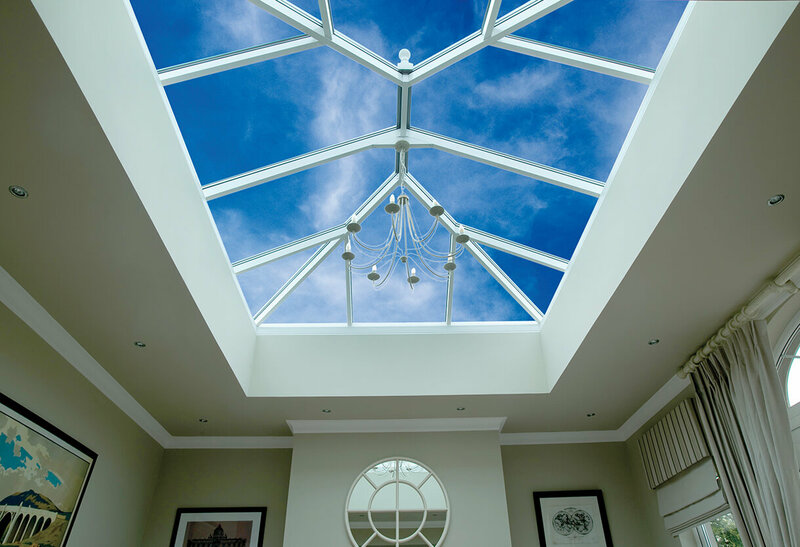 Engineered in highly strong but lightweight aluminium material, we have the means to instantly brighten up your conservatory with a range of roof lantern options of various shapes and sizes. 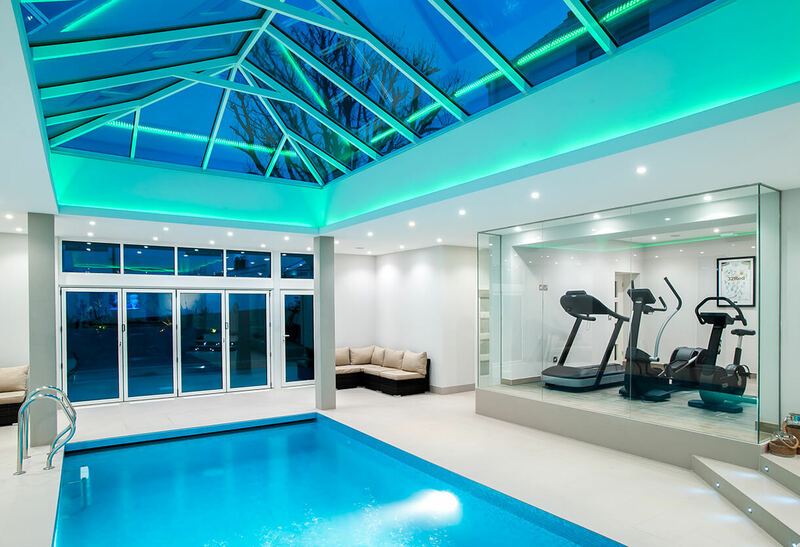 Those wanting to enjoy the ultimate light, bright, and spacious conservatory will absolutely find what they are looking for in Double Glazing Essex Ltd’s range of roof lanterns. Our team can quickly turn them around in just a couple of hours, meaning it takes less time than if you were to have your entire roof replaced – you can spend less time waiting, and more time enjoying the improved living areas. Whether traditional or contemporary, they’re a stylish addition to any room or property. Open up an extension space, flood a kitchen/diner space with light, enhance a swimming pool area; the list of potential ideas is truly limitless, only constrained by your own imagination. Add some gorgeous bifold doors into the mix and prepare to be utterly amazed by the effect it has on your Essex property! Make sure your Essex home stands out against the rest by having a skylight installed on your extension. Much like a roof lantern, a skylight will vastly improve upon the value of your Essex property.